'MARGARETHA CHRISTINA DE JONG: Prélude, Choral Varié et Fugue sur Veni redemptor gentium. A very accessible Advent work loosely inspired by Duruflé's variations on Veni Creator, this is an audience-friendly contemporary work. 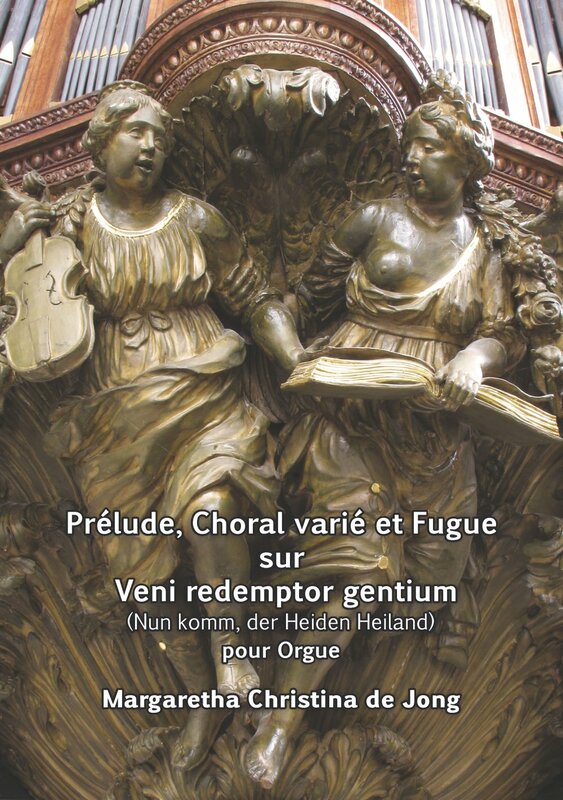 A Prelude, Choral with four varitions, Fugue, and three-page Toccata presents "Nun komm, der Heiden Heiland" in several interesting settings. An excellent addition to the not-overly-taxing recital repertoire and a great teaching piece'.